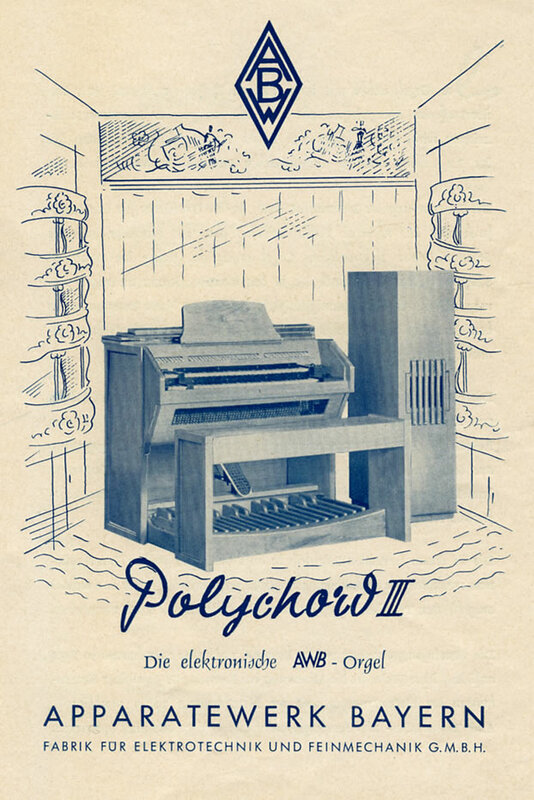 The Melochord was a post-war development of Bodes’ earlier Melodium, which, due to it’s complexity and unorthodox design wasn’t suitable for mass production. 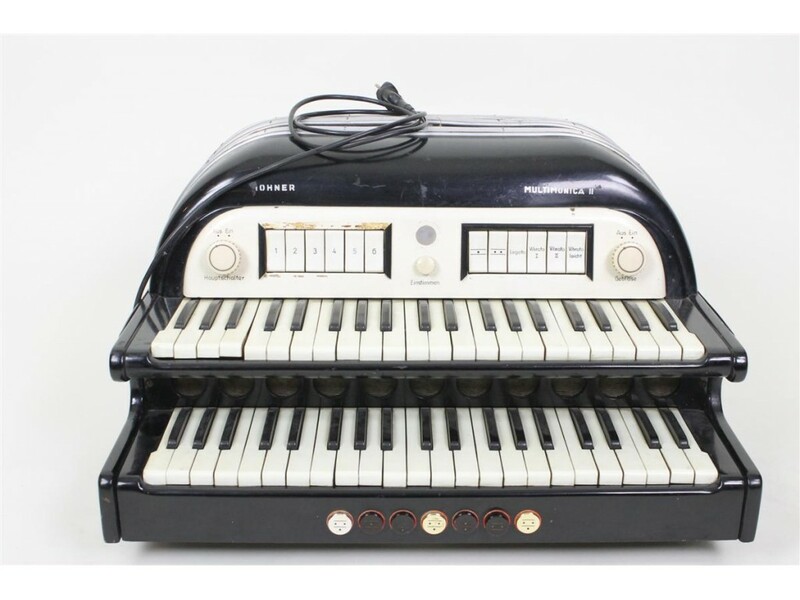 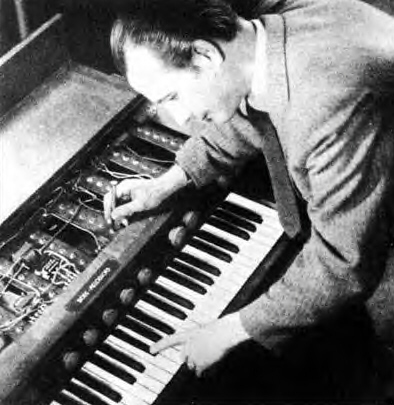 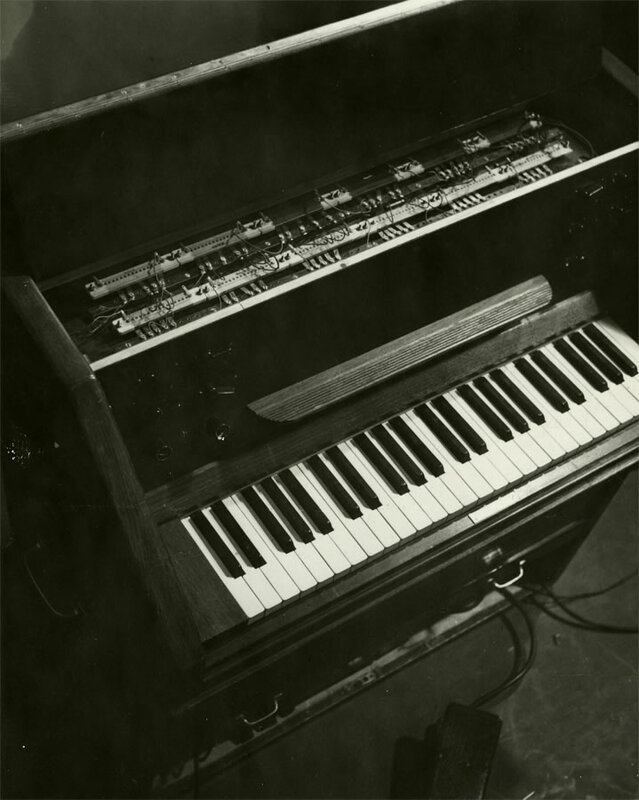 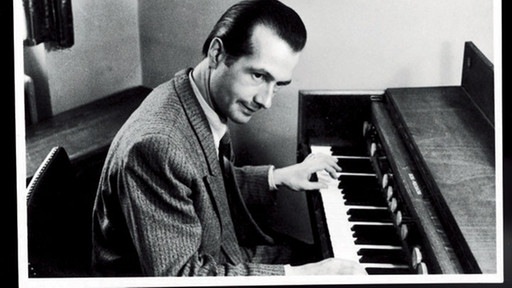 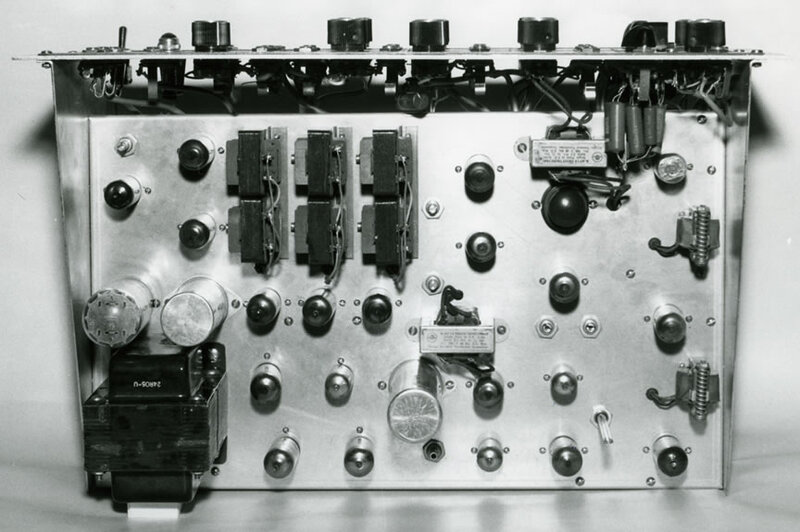 After the war, Bode cannibalised parts from the Melodium to build the Melochord, a monophonic keyboard instrument based on vacuum tube technology. 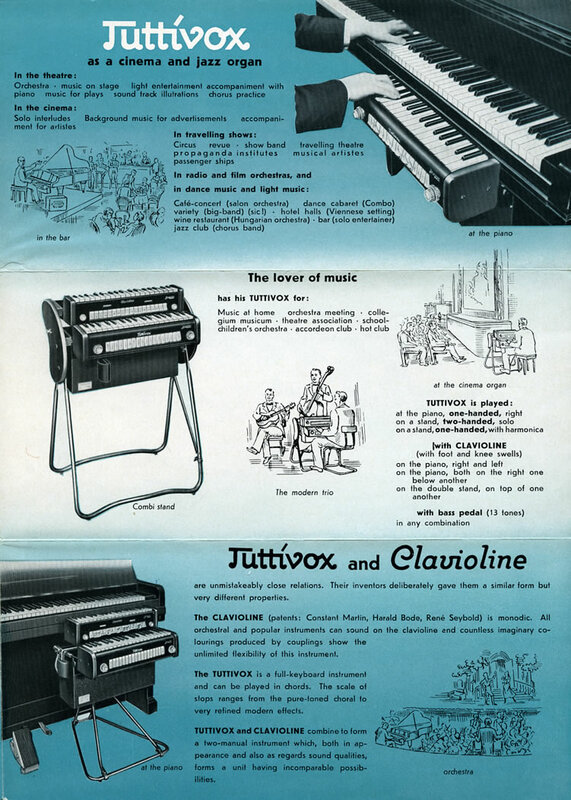 The keyboard used pitches derived from the traditional equal-tempered 12 note scale with switches extending the 37 note range from three octaves to seven. 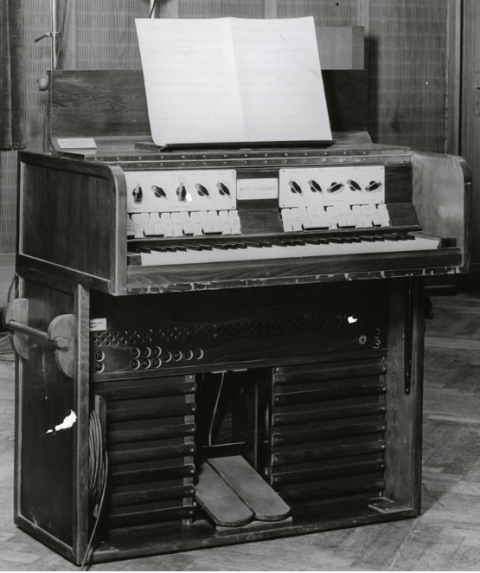 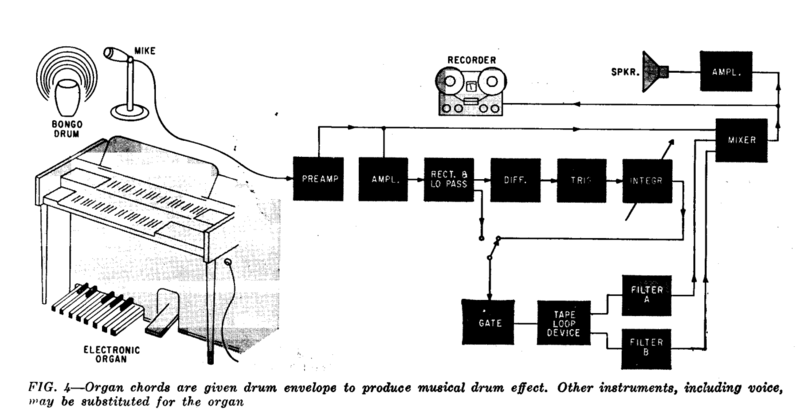 A foot pedal allowed overall control of the volume and a novel electronically operated envelope shaper could be triggered for each key. 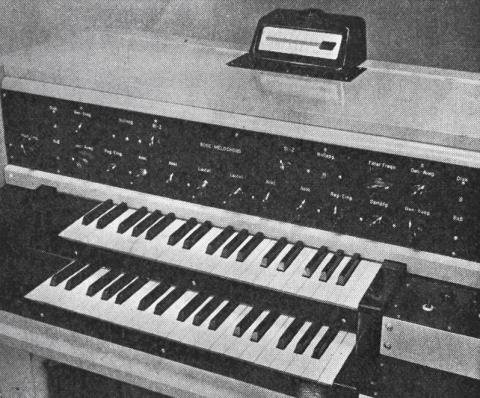 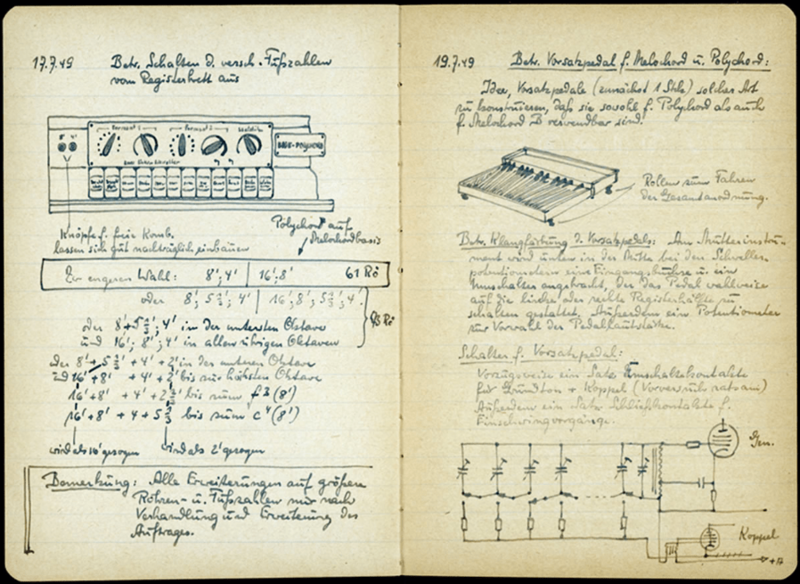 A later version incorporated two keyboards the second keyboard being able to control the timbre of the other, a technique used in later modular type synthesizers.The Melochord was used extensively in the early days of the electronic studio at Bonn University by Dr Werner Meyer-Eppler and was later installed at North West German Radio studios in Köln (alongside a Monochord and a simple oscillator and filter system) where it was used by the Elektronische Musik group throughout the 1950’s. 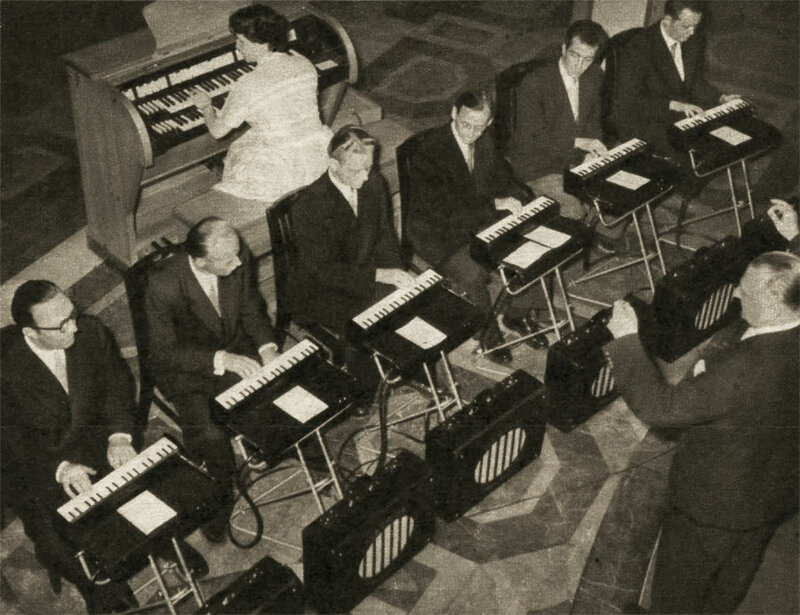 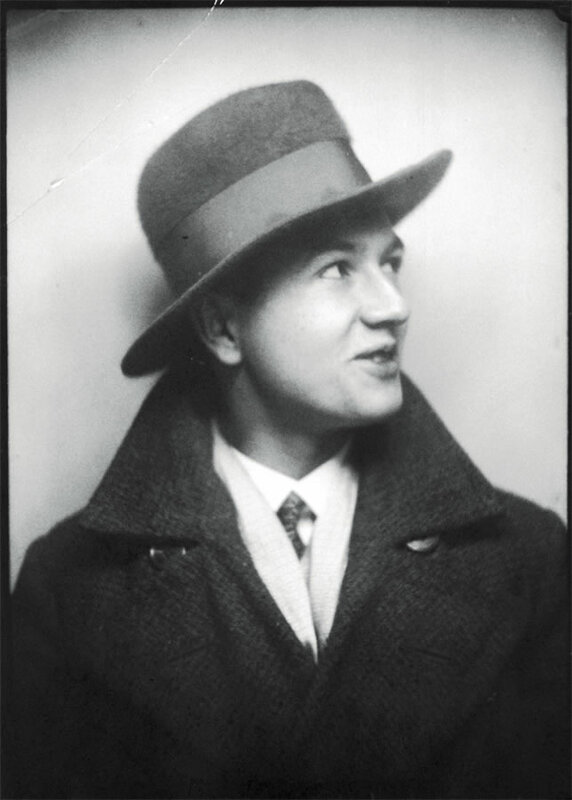 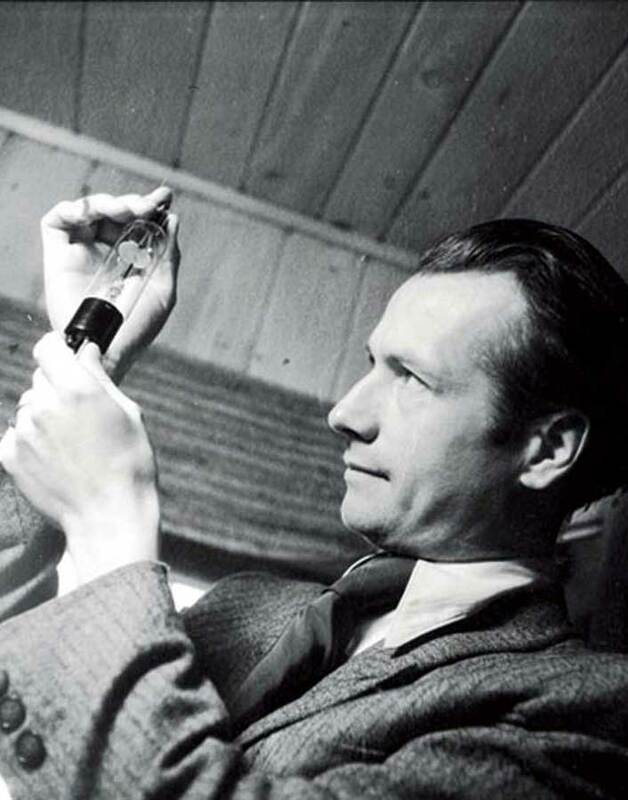 Artists who used the Melochord and Monochord at the studio included Herbert Eimert, Robert Beyer, Karel Goeyvarts, György Ligeti, Henri Posseur, Karlheinz Stockhausen and others. 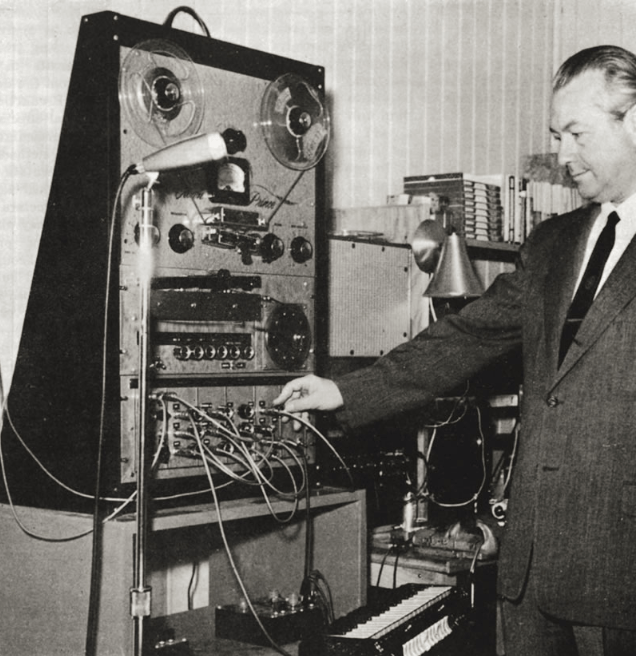 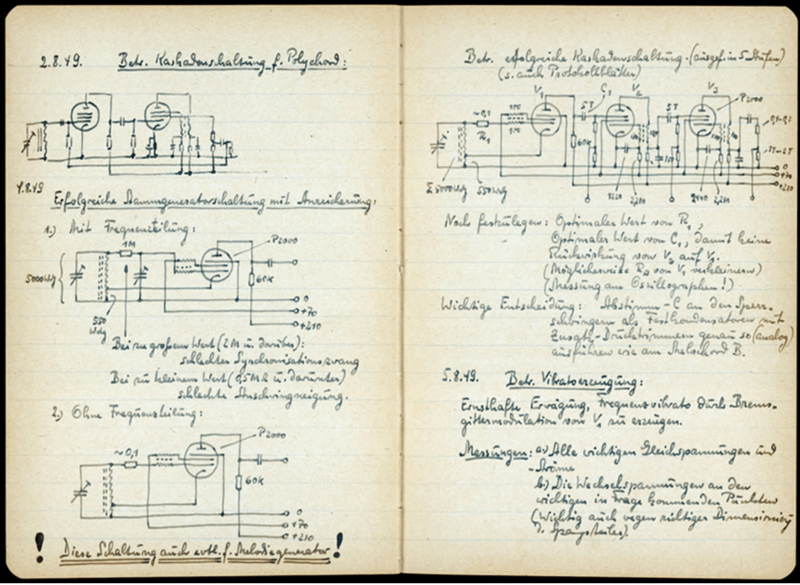 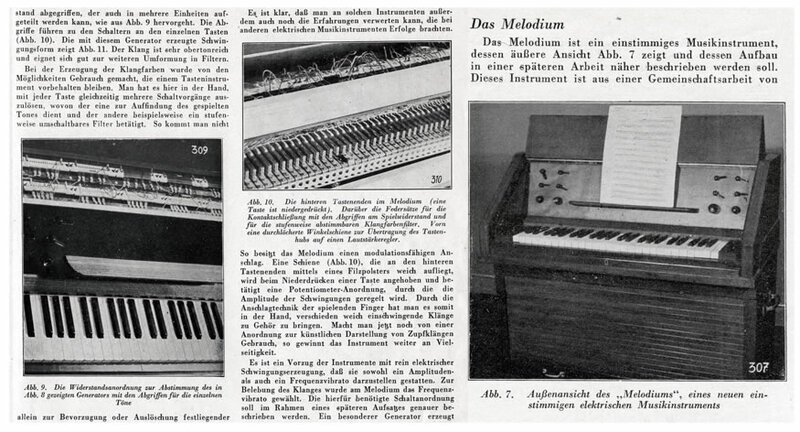 Despite the instruments technical drawbacks, the Melochord was destined to play a historic role in the future of electronic music, Meyer-Eppler’s visionary and influential work “Klangmodelle” and lectures at Darmstadt New Music School were all based on the Melochord and in 1961 Harald Bode, recognizing the significance of transistor based technology over valve based synthesis, wrote a paper that was to revolutionise electronic musical instruments. 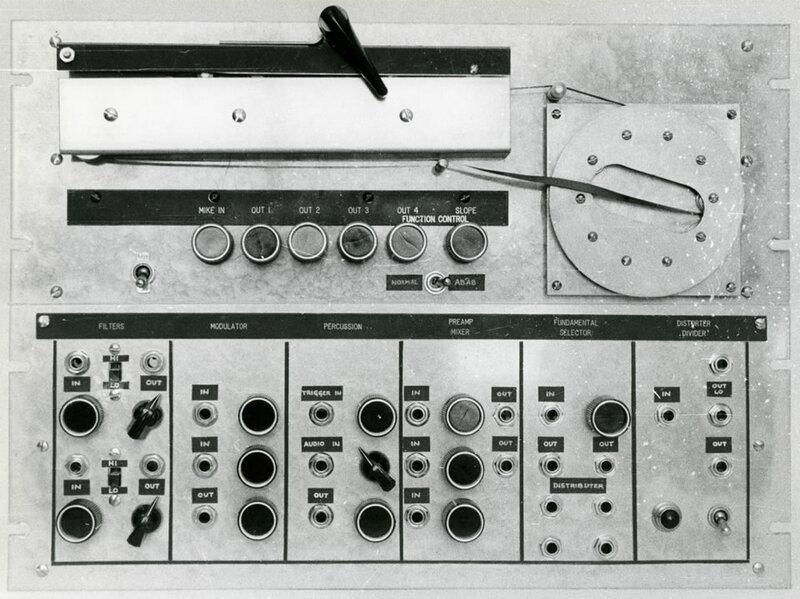 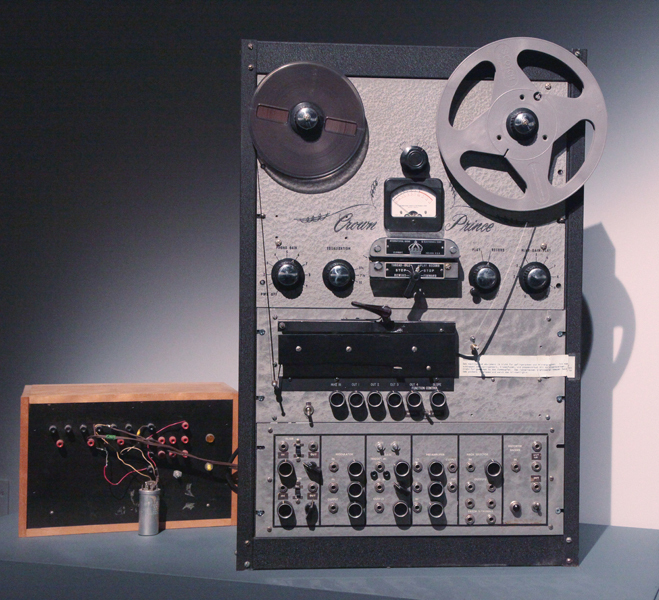 Bode’s ideas of modular and miniature self contained transistor based machines was taken up and developed in the early 1960’s by Robert Moog and Donald Buchla amongst others.